«©NCSX» An English company known as Hewson published a bunch of Commodore 64 games that were either shooters or platformers a couple of decades ago. We recall titles such as Uridium, Cybernoid, Deliverance, and of course StormLord. The game was eventually ported over to the Megadrive in 1992 and to the Amiga computer in 1993. 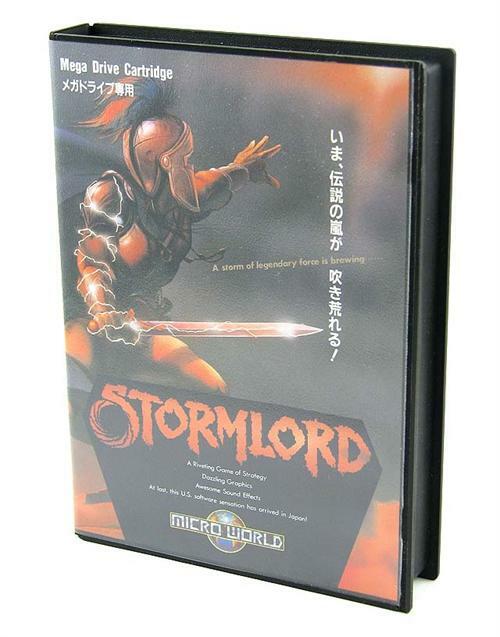 The year 2008 represents the 16th anniversary since NCS took initial delivery of StormLord for the MegaDrive. Perhaps it's a little sad that the game is still in stock but we're rectifying the situation today. StormLord is a platform action game where players take control of a grizzly Viking who's been charged with the task of liberating fairies from circular capsules. Along the way, an army of enemies seek to stop the Viking's progress.